Are you looking for something fun for you and your family to do this holiday season? Tons of visitors come from all over the United States to enjoy Smoky Mountain Winterfest. The town is draped in over 5 million shining lights to celebrate the holidays, and it’s a sight you really shouldn’t miss. There are a number of activities your family can do to enjoy the winter festival. Some of those activities include going to Dollywood’s Christmas Festival or going on the Winterfest driving tour to see the gorgeous Christmas lights display. We’ve created a handy guide to tell you the most important things to know before going to Smoky Mountain Winterfest. You and your family can see the dazzling Christmas lights display on the Winterfest driving tour all while from the comfort of your car. The driving tour is absolutely free. All you have to do is follow the map that shows you where all the lights are located. You can go at your own pace driving through town to see the beautiful sights. You can also pick up a lights map at the Pigeon Forge Welcome Centers. The festival takes place over the course of 4 months making it the longest running Smoky Mountain Festival. If you can’t make it to the festival in November or December, then you shouldn’t worry. You and your family will have plenty of time to make a trip to the Smokies to experience the festival up until the end of February. This winter festival is a whole lot of fun for all ages. Kids will love getting to see the fairytale character lights displays. They’ll also love going to Dollywood for the Parade of Many Colors. There are so many activities that are perfect for all ages at the festival. You won’t have a hard time finding something that both the kids and adults love. It wouldn’t be Christmas without the enchanting Christmas tunes. You can see a fun Christmas show at a number of attractions in the area. They have created shows that are sure to get you and your family in the holiday spirit. 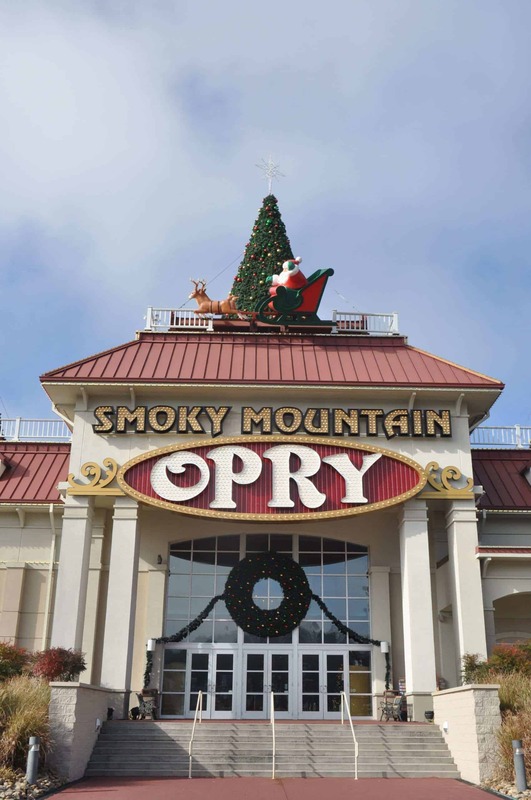 Check out the grand production at Smoky Mountain Opry or go for something with more comedy like the Hatfield and McCoy Christmas Disaster Dinner Show. Either way, it’ll make for a memorable Christmas experience. The Festival of Trees is a Smoky Mountain Winterfest tradition that displays hundreds of Christmas trees each with their own theme. The event takes place at the W.L. Mills Conference Center. You can look at all the unique trees and you’ll be helping out your community as well. All the proceeds from this event go to the Boys and Girls Club of the Smoky Mountains. You can enjoy all the fun Smoky Mountain Winterfest activities when you book a stay at Top Cabin Rentals. You’ll be close to all the winter magic when you stay at our cabins. Browse our affordable Gatlinburg cabin rentals to find the best fit for your winter getaway. This entry was posted in Smoky Mountain Things to Do on November 6, 2017 by Contributor.